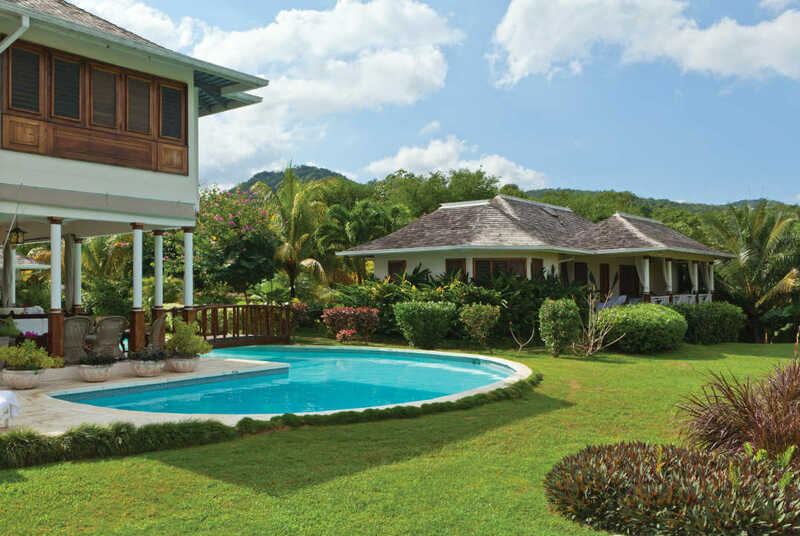 Panoramic sea and mountain views await you in this luxury getaway located in Jamaica’s prestigious Tryall Golf Club, only a 30 minute drive from Sangster International Airport. 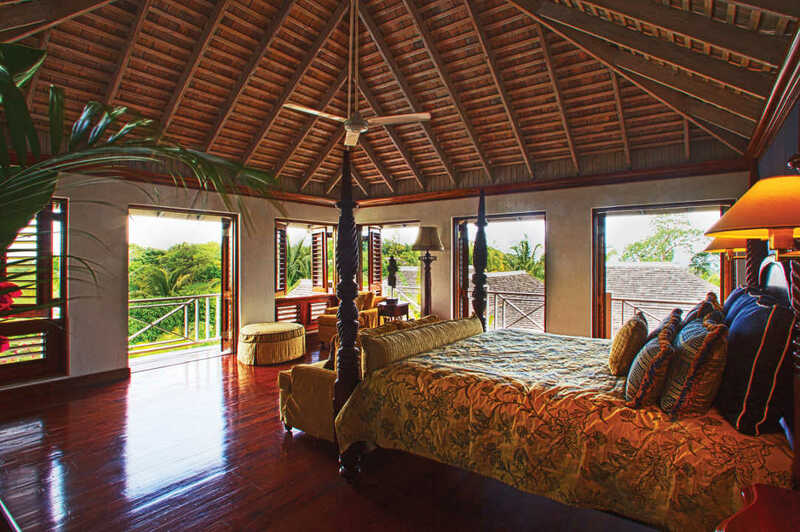 Established in 1957, Tryall’s history dates back to the to the 1600’s when it was the site of a British fort before becoming a sugar plantation then later a coconut plantation. 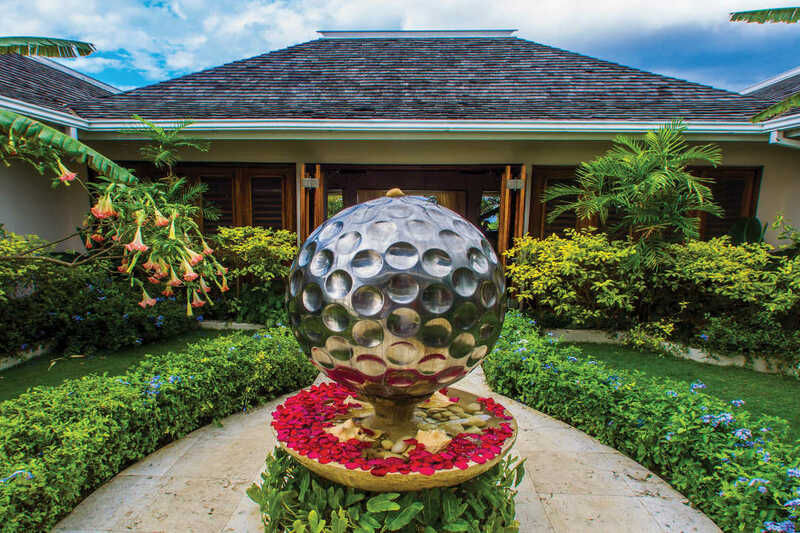 The club is awash with world class sporting facilities and fine dining, including one of the Caribbean’s highest ranked 18 hole golf courses which hosts the Johnny Walker World Championship, nine tennis courts, restaurants and a beautiful private beach. 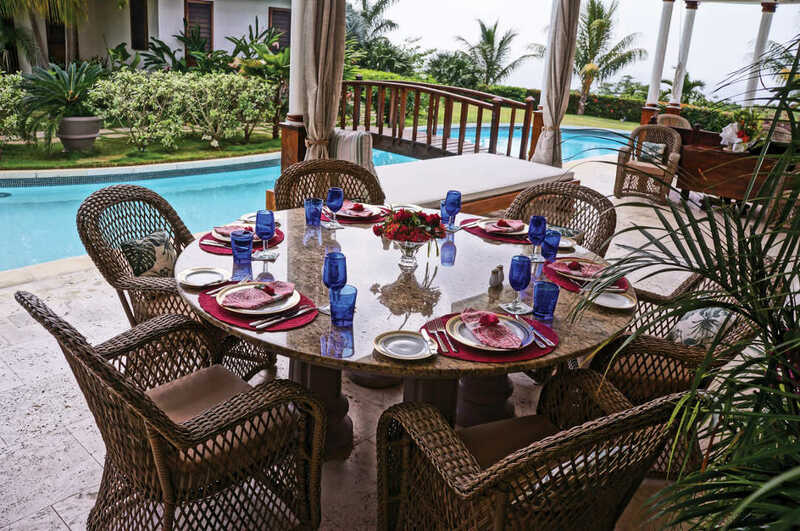 This luxurious estate is situated on 3.56 acres of landscaped grounds and features 11,000 square feet of naturally ventilated living space, including six bedrooms which feature ensuite bathrooms four equipped with jacuzzi baths, living room and a dining room that walks out to a large covered veranda with outdoor lounge and dining areas. 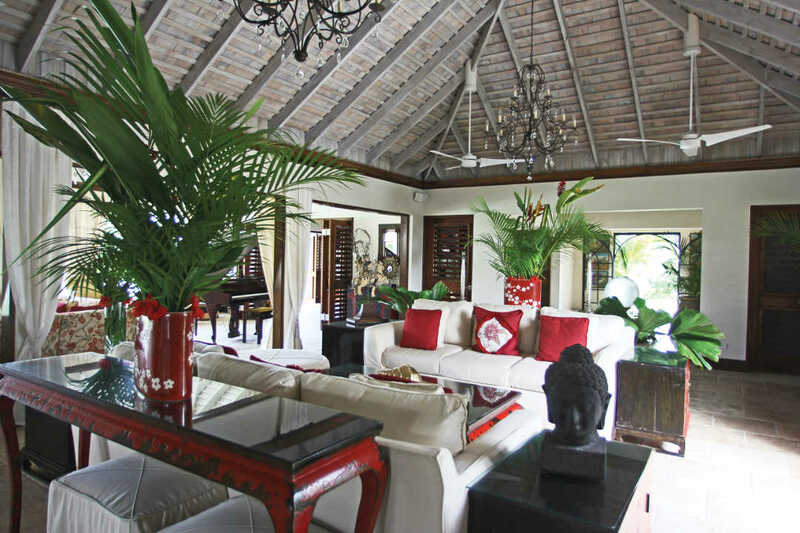 The main house features design influences from the Caribbean and Asia, whilst a 1,900 square foot self-contained cottage includes its own media room and private veranda. 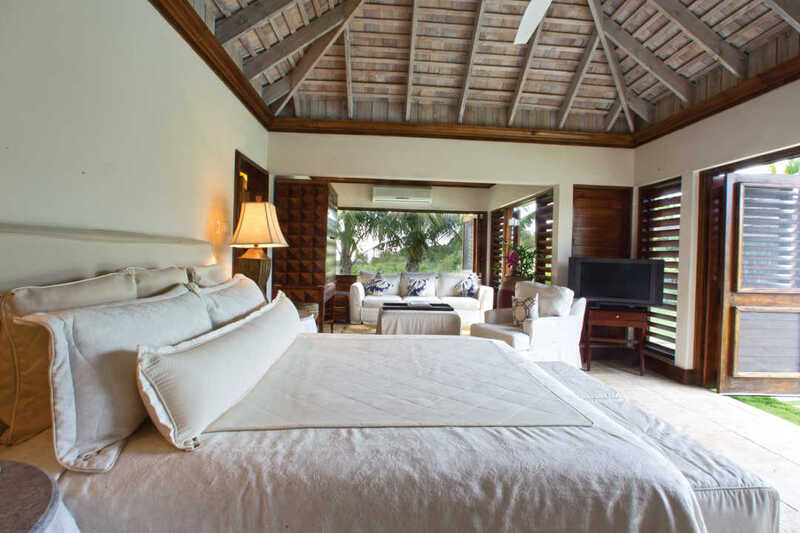 The second floor master pavilion bedroom suite occupies a stunning position above the living area with a 360 degree view of the property, brilliant Caribbean ocean and at night, the lights of the nearby town. 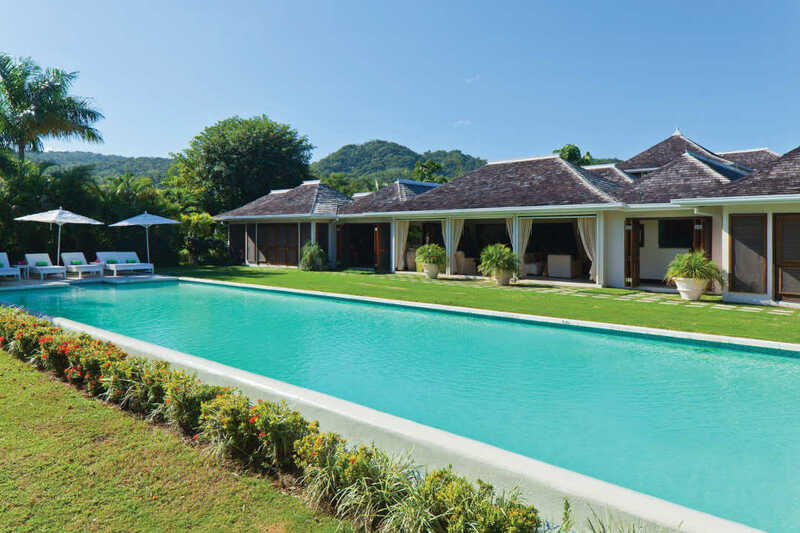 The estate boasts two pools, one of which is a 75 foot solar heated infinity lap pool which also features a pool-side gazebo. 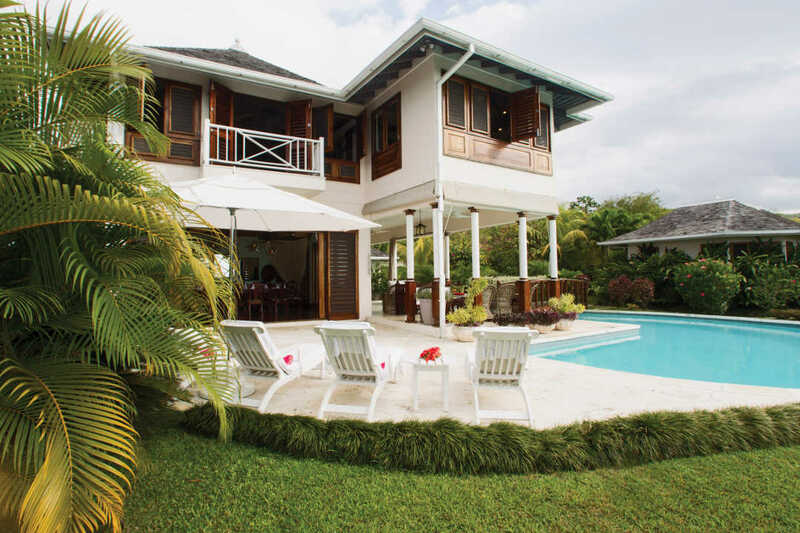 All this within walking distance to the beach, golf course, tennis courts and spa, makes for an ideal tropical escape or investment property with the potential for commanding a high rental income.